When it comes to creating the skills section of a resume and identifying good skills to put on a resume, most job seekers have little trouble determining the technical (or hard) skills they want to highlight. These areas of expertise are often closely tied to a person’s day-to-day responsibilities. But what about the less tangible abilities and characteristics? These soft skills – for resume writing purposes – can be just as important to the success of your job search. Some hiring agents define soft skills as people or social skills while others think of them as more general competencies like dependability, punctuality, and attention to detail. Either way, soft skills are more subjective and tougher to quantify than hard skills such as quality assurance/control, product development, or data analysis. However, they are still good skills to put on a resume and can help you earn interview invitations. But how do you know the best soft skills for resume writing? Are you supposed to guess which resume skills employers want to see? And how do you make something subjective and unquantifiable into a persuasive argument that will get you hired? Don’t worry: it’s not as difficult as it sounds. Whether at work or at home, you spend every day utilizing a range of capabilities. However, not all of these are good skills to put on a resume. Few employers will be interested in your grocery-shopping proficiency or deep understanding of late-night TV programming. The skills on your resume need to be relevant to the position you’re applying for, which means you’re going to need to filter out some areas of expertise. go through the job ad and highlight all the hard skills in one color, and the soft ones in another color. Make sure you don’t overlook soft skills disguised as personality traits (like self-motivated and persistent). Once you’ve compiled the list of skills pulled from the job ad, think about a time you used each of these abilities. For instance, refer to volunteer work you’ve done, quantifiable achievements, etc. Write down everything you remember about each example. consider your recent experiences – projects you’ve contributed to, positions you’ve held, challenges you’ve overcome, etc. What are some of your major accomplishments? What did you do that made you succeed? Don’t worry about separating hard and soft skills at first; just brainstorm a list to start and then go back and categorize. Now it’s time for some investigation. First, search for the top competencies employers are looking for, both for the overall job market and your specific industry. Note any that describe you and add them to your set. 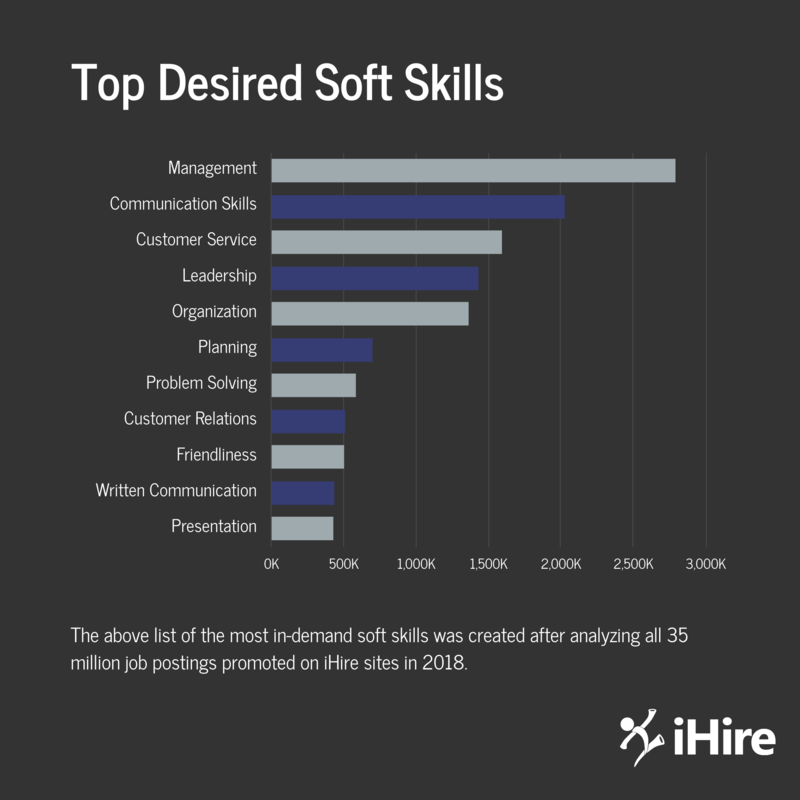 To get you started, here’s a look at the top soft skills employers were looking for based on an analysis of more than 35 million jobs posted on iHire in 2018. Second, research each employer before you apply to figure out what they value. Do you have any other capabilities that might matter to a particular company? If so, make sure you incorporate those skills on your resume. If your list gets too long or difficult to manage, focus on the abilities you bring to the table that have helped your previous employers. 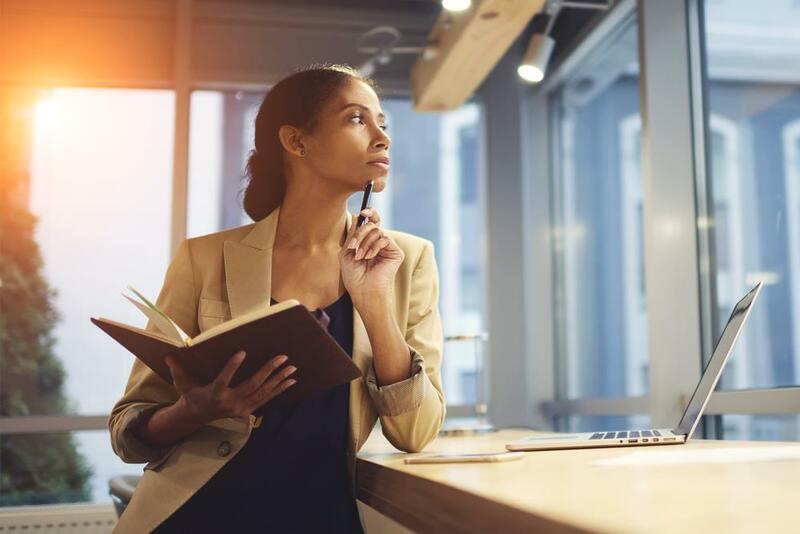 Think of times that you have gone above and beyond your job duties or instances where your contributions have significantly impacted your employer’s bottom line. Such accomplishments are what convince hiring managers to schedule interviews to learn more. While certain areas of expertise must be included in the skills section of your resume to prove you meet an employer’s necessary qualifications, soft skills are a bit trickier. Because they are more subjective, these additional skills for your resume require further context to prove that you have these talents. Soft skills work best in two parts of your resume: the summary paragraph and your achievements section(s). In the summary, you want to include as many of the skills from the job ad as possible as well as those you will reference throughout the rest of the document. The professional experience section is your chance to prove how good you are at using the skills necessary for the open position. The applicants you will be measured against will also have most (if not all) of the same skills on their resumes – otherwise they wouldn’t have passed the initial screening by the applicant tracking system (ATS). The key is to show that you are better at using these skills than your competition. It isn’t just about having the skill; it’s about how well you use it. That’s why you need to talk about your past experiences and accomplishments in which you used each soft skill and reached a specific goal. Integrating your soft skills within more quantifiable achievements will provide the further context needed for the hiring manager to gauge your application and potential fit. Resume Example: Built trusting relationships with patients as well as family members, educating them on treatment plans, actively listening to concerns, and ensuring fellow medical personnel were up to date on individual care needs. Resume Example: Following company merger, led teambuilding activities, clearly communicated performance objectives, and achieved cohesion among newly formed departments. Resume Example: Ran customer survey to gain valuable insights into product and service preferences, identify key areas of improvement, and implement changes to increase sales and satisfaction. Resume Example: Readily took on additional responsibilities following major reduction in force, continuing to meet deadlines for core duties while learning new skills on own initiative. Resume Example: Expertly coordinated community outreach event, setting activity schedules, negotiating vendor contracts, and launching marketing campaign within tight deadline.